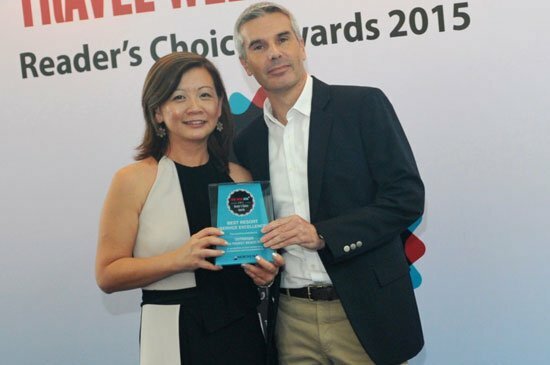 PHUKET, THAILAND – The Outrigger Laguna Phuket Beach Resort has won the “Best Resort (Service Excellence)” Award at the Travel Weekly Asia Reader’s Choice Awards. 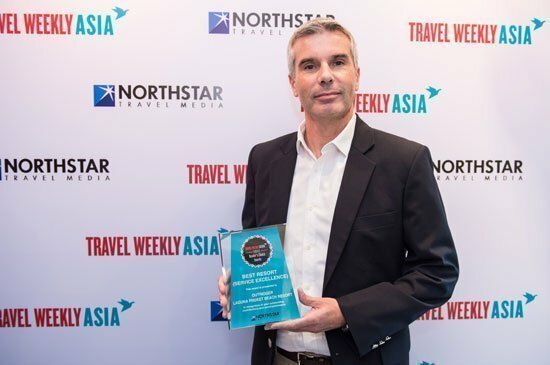 Tony Pedroni the General Manager of the property received the award on 22 October at Me@OUE in Singapore at a ceremony with more than 100 international travel industry leaders and influencers, many of whom were attending ITB Asia. Some 4,600 voters selected 32 winners from 10 categories over a two-month period. The Outrigger Laguna Phuket Beach Resort is a 255-key holiday resort with 315 hosts (staff) located in Laguna Phuket integrated resort in Phuket, Thailand. Apart from holiday guests, the property hosts a wide variety of meetings and incentive visitors who make use of the property’s Similan Ballroom and meeting rooms.